Montana has a rich legacy of service, and I'm proud to represent our state's veterans in the U.S. Senate. 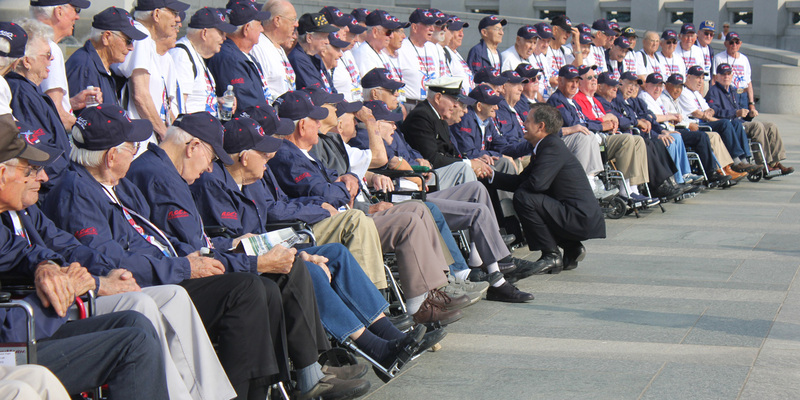 I’m dedicated to ensuring that our veterans receive the care and benefits that they fought for and greatly deserve. Below you'll find information about a variety of resources available to our veterans, as well as contact information for Montana's Veterans Affairs offices. And always, please contact our office for assistance with any questions or problems you may have. How can I get Senator Daines’ help with my VA benefits? Where can I get help getting my veterans benefits? My office has partnered with the American Folklife Center at the Library of Congress to help collect, preserve and make accessible the personal accounts of Montana's wartime veterans so that future generations may hear directly from veterans and better understand the realities of war. To learn more about the project and how you can share your story or interview Montana’s wartime veterans, click here.